"Truly the best, most professional painting company we have ever used!" This is Heffernan Painting Services. We have been providing Wilmette, the North Shore and select Chicago metropolitan areas with quality interior and exterior painting and restoration services for homes and commercial properties, since 1985. Every painter we send to work on your project is a full time Heffernan employee, NOT A SUBCONTRACTOR! 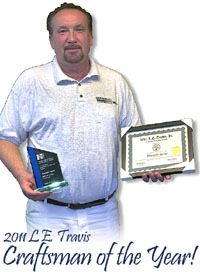 As a family-owned and operated business, customer satisfaction is our top priority. We meet the highest industry standards and work closely with each and every client to satisfy individual needs with reliable, quality service! Uncertain about color selection? Heffernan Painting makes it a collaborative and enjoyable experience. We offer a complimentary color consultation with a professional ASID-certified interior designer for most contracted projects. If you need help beyond color selection, full design services are available. Just think what you could accomplish in your home having one of our well-trained and fully equipped paint technicians at your disposal for up to 7.5 hours. No estimates required, just call and hire! Your home is your biggest investment and Heffernan Painting will take meticulous care of it. Any surfaces not being painted are carefully covered and protected. Surfaces to be finished are properly prepared and painted or stained to meet the highest industry standards. We understand that you have to live in your home, so our team of professionals will not be disruptive, will work as quietly as possible and will thoroughly clean the work areas at the end of each job we perform.  Complete interior painting of new and previously painted surfaces.  Paint stripping, staining and finishing of woodwork.  Wallcovering/wallpaper hanging and removal.  Carpentry services (repairs and installation of new products). 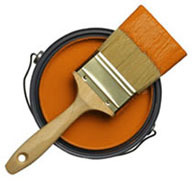  Painting related repair/replacement services.  Complete exterior painting of new and previously painted surfaces.  Power washing and cleaning of homes and decks.  Entry door systems (stripping and refinishing).  Application of waterproof coatings.  Staining/finishing of natural wood surfaces. Chicago's North Shore: Evanston 60201, 60202, 60203, 60204; Wilmette 60091; Kenilworth 60043; Winnetka 60093; Glencoe 60022; Highland Park 60035; Highwood 60040; Lake Forest 60045; Lake Bluff 60044; Lincolnshire 60069; Wheeling 60090; Deerfield 60015; Northbrook 60062; Northfield 60093; Glenview 60025; Des Plaines 60016; Buffalo Grove 60089; Mount Prospect 60056; Arlington Heights 60005; Park Ridge 60068; Lincolnwood 60712; Niles 60714; Skokie 60076, 60077 . You don't need to paint an entire room to give areas a fresh and exciting new look. While painting is one of the least expensive upgrades you can make, consider adding a splash of color to select areas to add a unique design element in your home. Below is a list of ideas, but the options are limitless! Keep home maintenance up and see your annual repair bills go down! View and print our spring maitenance checklist. The Painting and Decorating Contractors of America (PDCA) proudly recognizes and awards Alexander Koziec of Heffernan Painting among the finest craftsman for demonstrating excellence in craftsmanship and professionalism in the painting and decorating profession. Thank you Al for 24 years of exemplary service!